KAMPALA – Kyadondo East Member of Parliament Robert Kyagulanyi alias Bobi Wine has penned a message to President Yoweri Museveni after his blocked concerts at Gaba beach and Busabala respectively. 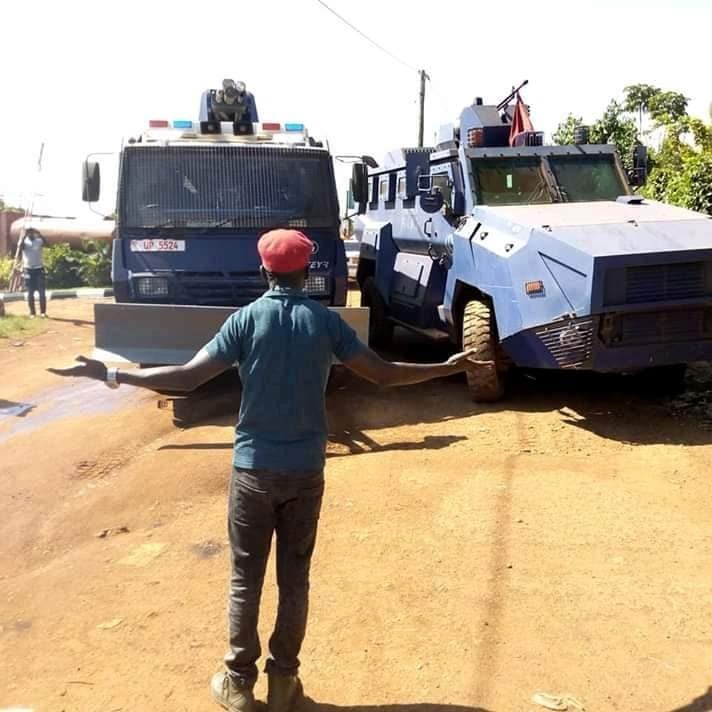 Bobi Wine who claims that his management wrote to Police leadership as early as November has had his One Love Beach Busabala sealed off by security forces and revelers dispersed with teargas. “Here is my message to him. Through these actions, you are revealing who you truly are – a brutal, cold and cowardly despot. You think you are hurting me and my dependents by blocking my sources of income, but you should know that the world is watching. “Yes, I have done a show every 26th December for the last ten years, but if this is one of the many sacrifices I have to make for believing in justice and freedom, so be it! I will assure you once again that your intention to break my resolve through harassment and intimidation will certainly fail. I shall not kneel before you. I shall not be cowed by your acts of terror. “The forces of evil may be so fearsome, but they never win in the end. One day, God being our help, you shall fall like all the other tyrants who came before you,” Bobi Wine wrote on social media. Up to now, we have not been given any official reason as to why the show was blocked, because we wrote to police long ago and complied with all legal requirements. (I have sent along with this message, copies of the correspondences because one Emilian Kayima, the police spokesperson was on TV this morning saying that we did not comply with the guidelines although he did not specify anything that we did not fulfill). As they have been doing recently, they did not respond to us at all, until last night when they showed up to disrupt the event. This is after we had invested a lot of resources in advertising and other preparations. The police officers on the ground are avoiding the cameras – they simply told me that they are here on orders from above!! My colleague artistes are having their shows unhindered. President Museveni was even recorded live advertising a show for one artiste, to be held on this same day- as if to say that he owns Uganda, and if you want to be allowed to work, you have to lick his feet and be his sycophant! Thank you comrades in the struggle, brothers and sisters, olw’okwebereramu! Those who are resisting this madness in every way, power to you! I have been telling you and you can now see, that our solution will not come from the courts, from Parliament or anywhere else. The solution will come from us! We should not forget that Parliament last week passed a resolution against these illegal and repressive actions. But that resolution is being held in contempt, like they do to court orders and the very Constitution of this land! I appreciate the messages of support and solidarity from all over the world and assure you that your prayers and effort shall not be in vain. We shall overcome.